Stacy Horn » Blog Archive » I’m very late at promoting these events!! I’m very late at promoting these events!! I’ve got two book events coming up, both in very lovely settings. One is tomorrow. TOMORROW. It will take place in the Merchant’s House Museum garden as long as it doesn’t rain! The other one is on Monday, July 16, at Brooklyn’s Books Beneath the Bridge series in the Brooklyn Bridge Park. My reading there is sponsored by Freebird Books. Thank you so much, Freebird Books! 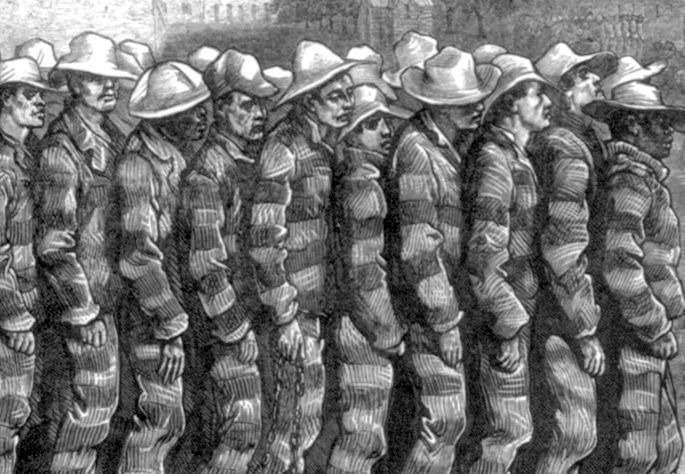 A detail from a drawing of prisoners on Blackwell’s Island.